Gwynne Richards' highly regarded and best-selling text on warehouse management is a complete guide to best practice in warehouse operations. 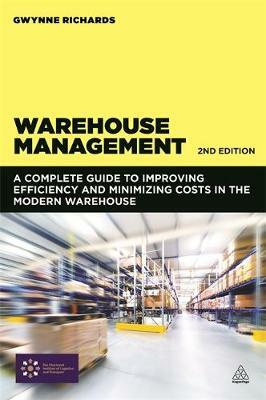 Warehouse Management examines how to operate an efficient and cost-effective warehouse. It provides guidance on using the latest technology, reducing inventory, people management, location and design. Covering everything from the latest technological advances to current environmental issues, Warehouse Management provides an indispensable companion to the modern warehouse. The text considers key aspects of warehouse management, including cost reduction, productivity, people management, and warehouse operations. In addition to providing updates on future advances in warehouse management, Gwynne Richards tackles the key issues that are challenging today's managers, including pressure to reduce lead times, increase productivity, reduce cost, improve customer service, reduce environmental impact, and maintain health and safety standards. Offering comprehensive direction on all aspects of managing a warehouse, Warehouse Management is an ideal guide and detailed reference book for anyone looking to gain a real insight into warehouse operations. In this 2nd edition of Warehouse Management, there are more case studies, photographs as well as extensive accompanying online resources, such as PowerPoints and video links.